We bring you the very best of India’s street food. Rooted in tradition, bursting with aromatic spices and brought to you with a contemporary twist, Chai Thali is a nation of street food all in one place. 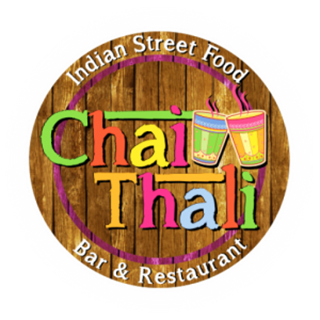 Blending the old with the new, Chai Thali is all about India’s traditional and modern street food cultures. Our authentic kerb-side snacks and sharing plates are delicious paired with a craft beer or one of our spice-infused signature cocktails. This feedback is based on the fact that all of us were essentially vegetarians. Great food, portion sizes are extremely little. A great place , nice and kind staff , food was authentic and tasty. Good choice. My group of 4 were the only diners in the restaurant - therefore the service was brilliant. Cannot comment if the place had been full. Food was very good, though a little expensive for what were essentially small dishes/snacks or 'street food'. The food was great. My only complaint is we were rushed to finish our food, although we had made a reservation and 5 of us finished within an hour. Thank you for your comments. We don't tend to serve spicy food at our Fulham branch due to the type of customers that visit. However, we have listed a spice icon in front the dishes that we generally make spicy such as the prawn curry as you've already mentioned that you enjoyed. There are some dishes on the menu that don't have a spice icon but we can make them spicy if requested. We would love to see you soon and hope to serve you food that you love time and time again. Thanks a lot. Lots of choice of foods and drinks. I had been before and that’s why I chose it for my birthday meal. However restaurant was busier than last time and so the food wasn’t prepared as well as it was the first time, even though it was still lovely! For example, the lamb chops were so hot and delicate the first time, this time they were hot but a little over cooked compared to the last time. Im glad that you have commented on our food and we love to hear from our customers. We have noted your comments and views and forward them to management. They are looking into it and hopefully you will be able to see a maintained flavour and texture from now onwards. Hope to see you again soon. The place is cute little restaurant which makes it a really cosy spot to eat and hang out with friends or family. The food was amazing and the staff were very attentive and friendly. As for value for money, we paid £20 per person for a full meal curry, 2 sides and a drink which is was quite reasonable. Thank you so much for the comments. We look forward to seeing you again. Thank you for your response. Hope to see you soon. We decided to order each course individually rather than all at once which may have slowed down the service a little, but food was outstanding! Lovely food, friendly staff, great experience! Was left asking for more. Went after reading some good reviews - but found the place too noisy next to a busy road, the food was average if not bad for that price. Overall I found it 2/5 experience. Hi.. Would love to have you seated in next time. Thank you for your response. Hope to see you soon. Great service. Food and drinks were delicious. Not too spicy. Will be a regular for us. 8 of us had a lovely meal on Friday evening.